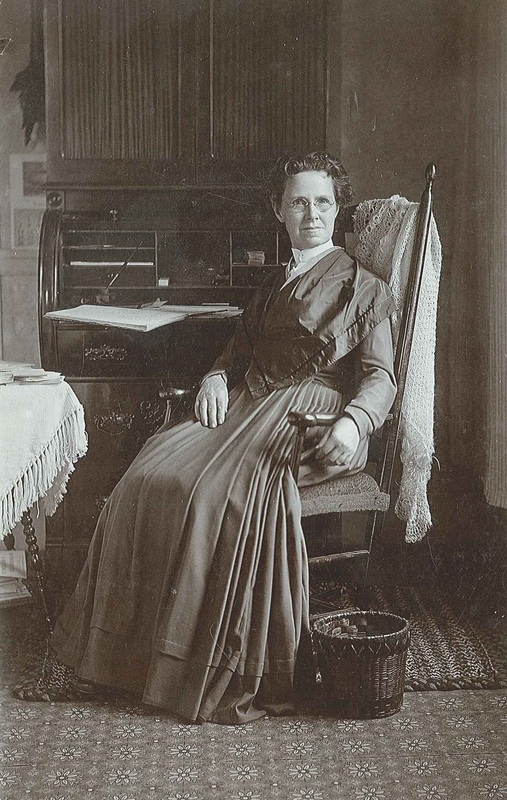 Eldress Catherine Allen, North Family, Mount Lebanon, ca. 1890-1908. 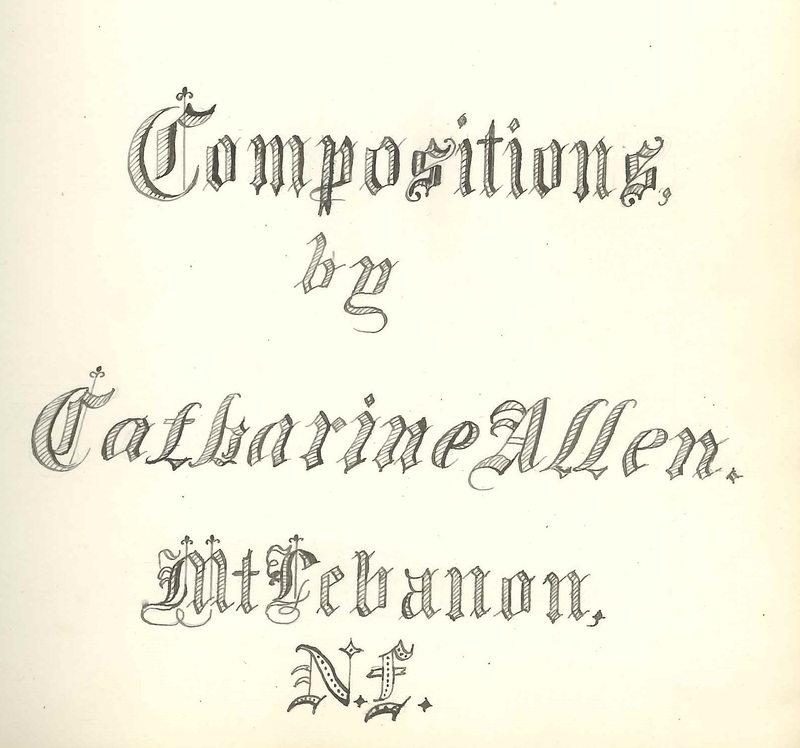 Hand-lettered title page of Eldress Catherine Allen's "Compositions," 1888-1902. First, who planned the Constitution and its laws? Men. Who have been its executors from first to last, in Senate and in House? Men. They have framed all our laws, have mended and amended them as they have thought proper, and what wonder? For ages back they had exercised sole authority in all offices of Church, quite unmindful of the fact that God had said “Let us create man in our own image.” “Male and female created He them;” and also that every atom of the universe, from mineral ore to burning star includes, and is controlled by, dual forces. 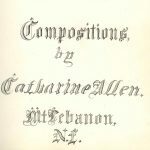 Catherine Allen’s parents serially joined communal societies, beginning with Brook Farm, the unsuccessful transcendental experiment in Massachusetts. They were living at the Modern Times Colony on Long Island, NY when they sent Allen and her brother to board with the Shakers. Allen elected to remain there for the rest of her life. Allen set aside traditional Shaker values of isolation and a quiet internal life to argue widely for women’s rights, women’s suffrage, and the humane treatment of animals. Her chronicle of the Shakers’ history, A Full Century of Communism, The History of the Alethians, formally called Shakers (1897), explained Shakerism to an external audience. 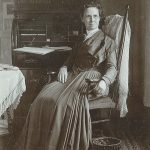 She was instrumental in the preservation of a large collection of Shaker manuscripts, transferring the archives to the Case Western Reserve Historical Society in 1922.